Fresh Look ( formerly known as Sears ), Carpet and Upholstery Cleaning is backed by the our Guarantee of Satisfaction. You can count on Fresh Look for Satisfaction Guaranteed. For A Clean You Can See. And Feel. Fresh Look uses specialty formulated solutions with unique cutting edge technology which rapidly dissolves oils and greasy soils, delivering superior cleaning results leaving pH-balanced fibres. So all that’s left behind is cleaner, softer, brighter more beautiful carpet. We then recommend an application of Ultra Care Carpet and Upholstery Protector (optional) Reapplying the carpet protector helps restore protective properties to your carpet, making it easier to care for and increasing the life of your investment. We also offer a full line of Sanitizers and Deoderizers including the all-natural Benefect Sanitizer for all your odor control needs. 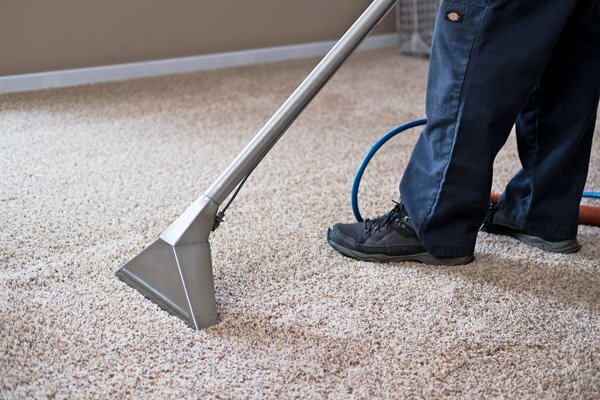 After we finish making your carpet cleaner, we review the entire job with you to make sure everything is done to your satisfaction. If not, we’ll fix it right then. We want you to be completely satisfied before we leave your home. We will also follow up with a phone call within 48 hours of our Service to ensure you were happy with our service and our technicians. Courteous, IICRC certified, professional technicians trained on the latest cleaning equipment to make sure you’re 100% satisfied with Fresh Look service. Fresh Look guarantee of satisfaction.